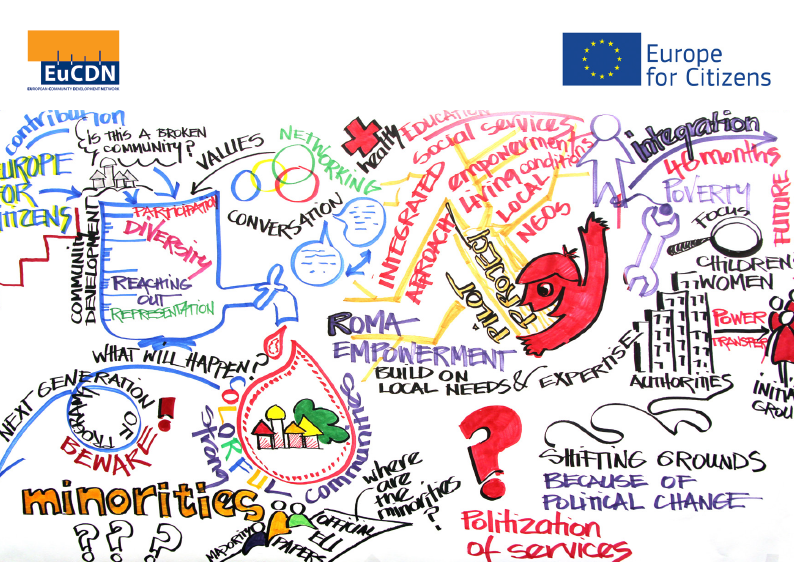 After three years of work, EuCDN is proud to announce the publication of its Framework for community development, its values, its approaches and its achievements. Along with short video was produced that can be used anywhere that people would like to learn about community development. The community development framework seeks to underpin the intention, practice, tools and the outcomes expected of community devel­opment in order to create the conditions for a just, inclusive and sustainable society by supporting communities to engage in collective action. 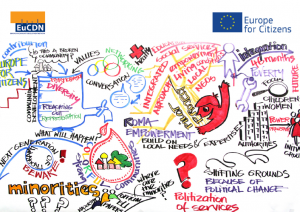 It acknowledges community development as collective in analysis, means communities begin with their own analysis – not one which is imposed by the European Commission or a local parliament or a regional authority or anyone else. The actions are informed by collective decisions. While lots of very useful processes have individual outcomes the focus of community development interventions are collective outcomes which change the collective lives of the community or group as a whole. We hope that organisations committed to community development will wish to sign up to the document to strengthen our mutual support and ambitions. For more information please contact our Co-ordinator. Download the framework in Hungarian. Download the framework in Polish. Download the framework in Dutch.